Which gift do you give a couple that is tying the knot for the second time? The best second marriage wedding gifts are specialty items that a couple may not already have. Chances are they have all of the basic household necessities and maybe even more than one of each household item. Stay away from gifts that a young couple would need such as mixing bowls and towels. Instead, look for gifts that are unique and thoughtful for their age and lifestyle. My top second marriage wedding gifts are lively, fun and something that a couple can enjoy together. Gifts for entertaining are always a great choice and if the couple has children, something for the family to share. A great choice for a couple that entertains. It is made of strong stainless steel which resists rust and exterior sweating. 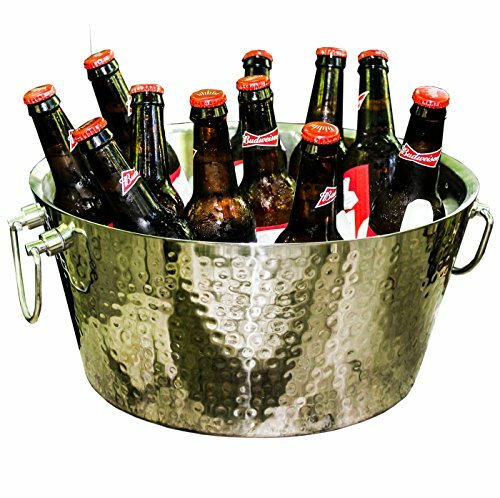 This beverage tub is quality constructed to be enjoyed year after year and look fabulous. I think a very nice beverage tub is a must-have for any couple.I use one for everything from holidays to barbecues. Drinks can be assembled on ice early and are ready when the event begins. It’s so convenient for guests to help themselves to beverages, leaving the hosts to enjoy the party. 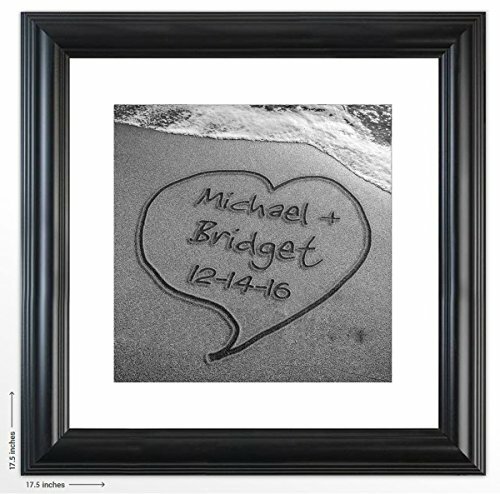 Romance is in the air with a lovely Personalized Wedding Beach Print. This is an especially thoughtful second marriage wedding gift for couples who are married or had their honeymoon at the beach. The names of the bride and groom are written in a sand heart including their wedding date. The print is done in classic black and white. There are several different options to choose from which is nice if you have a budget in mind. The wedding beach print can be unframed (if you have another frame in mind), framed for hanging or as a wrapped canvas. A unique gift that is perfect for second marriage wedding gifts. This is something that a couple probably does not have and if they did, it’s unlikely they would have the same one. This one is exquisite. 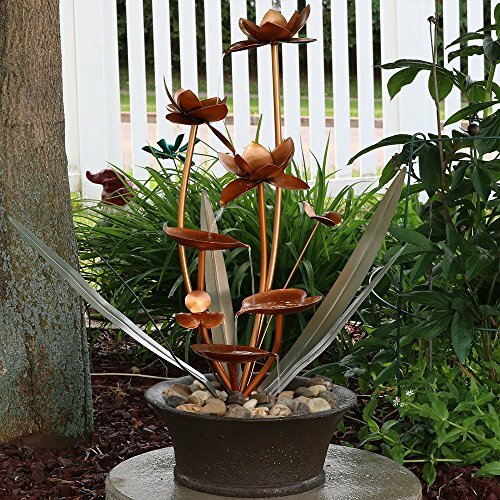 A Copper Flower Blossoms Outdoor Garden Water Fountain would be so fitting for a patio or deck tabletop. The sound of the trickling water can be so relaxing. If the newlyweds are gardeners, they may even want to nestle this cute fountain into a flower bed. 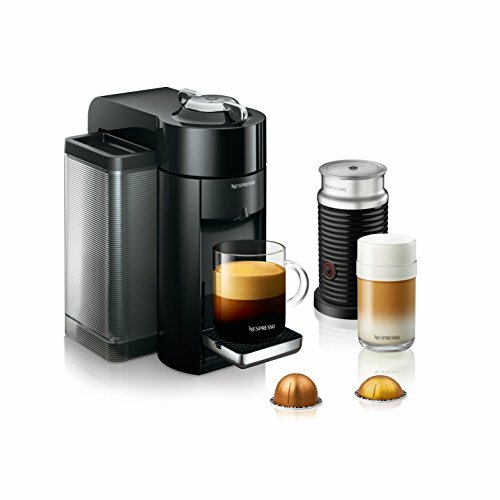 A top of the line deluxe espresso and coffee maker from Nespresso will make the happy couple even happier. This state of the art coffee maker and espresso machine features a custom brewing system for a perfect cup every time. There are many different models from Nespresso, but this one includes an Aeroccino Plus Milk Frother which makes this one of my favorite models. It’s no wonder this machine is called “revolutionary”. The Nespresso Vertuo Evoluo Coffee and Espresso Maker is easy to use and turns out an outstanding cup of coffee or espresso at the push of a button. Add a set of delightful Espresso Cups for an extra special gift. Fun, relaxation and romance will be in the air when you surprise the new couple with a Picnic Basket and Blanket Set. Everything is provided in a cute picnic basket for a quiet day at the park or beach. Add favorite food, a bottle of wine and this basket is ready to go. 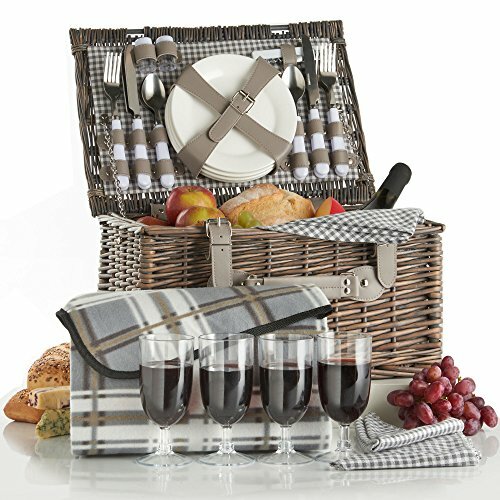 The wicker picnic basket includes everything you need to serve a delicious meal. This one is well stocked with four place settings, which is wonderful for kids or guests. Includes plates, cutlery, wine glasses, bottle opener, napkins, salt/pepper shakers and a picnic blanket. 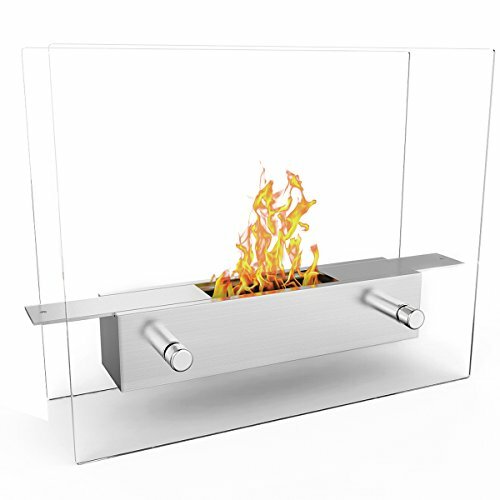 A table top fireplace that is beautiful as well as mesmerizing. The open flame seems to float in the air right on a tabletop or counter. The fireplace is portable and can be moved wherever you like. Burns clean ethanol fuel which is 100% natural alcohol with no need for venting. These all look like amazing gifts and I found this post at the perfect time as I have to buy a gift for my best friends second marriage. Nice ideas all of them…Thank you Mary. These are interesting choices. I recently got remarried. I agree with you about not duplicating household items the couple already probably has two (at least) of. The coffee maker you featured here is interesting, as well as the table top fireplace. Thank you for this informative post. I’ve never known what an appropriate gift would be for a second marriage so this is a great suggestion list.